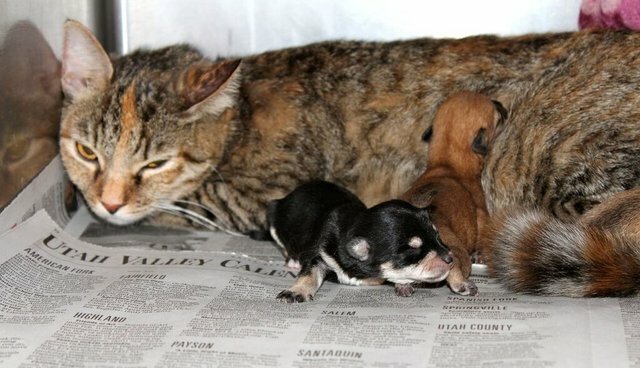 Here's proof that a mother's love is blind - a shelter cat named Kit saved the lives of four orphaned puppies this week. A shelter spokeswoman told The Dodo that Kit's instinct to nurture is so strong, she's become the "resident wet nurse." The four Chihuahua puppies were found abandoned in a shoebox left on a car in West Valley City, Utah, with a note that read "Free, mama past (sic) away, born on Friday." 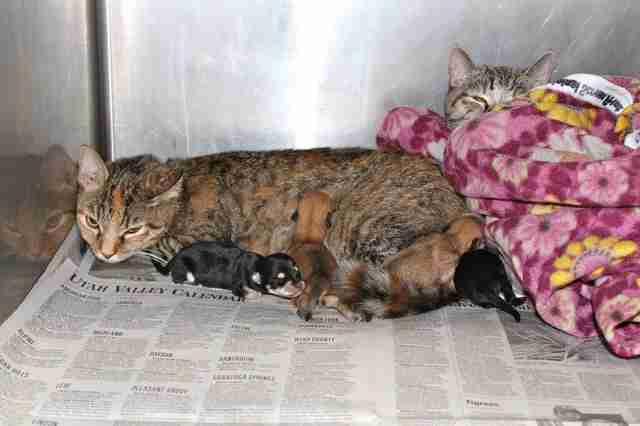 Luckily a woman spotted them and rushed them to the Humane Society of Utah. Rescue workers could tell that the puppies desperately needed care, so they took a chance and gave them to Kit, a recent mom who was new to the shelter. 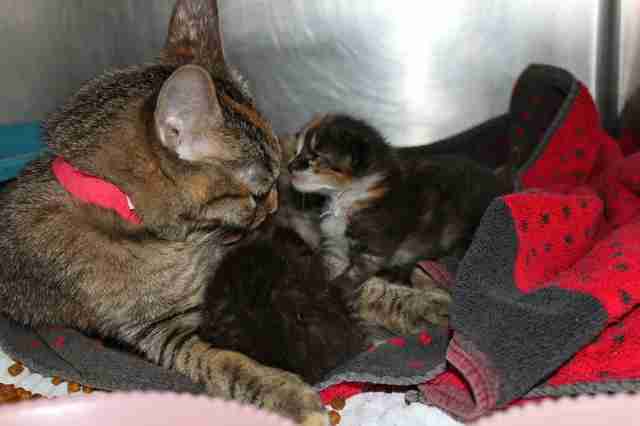 Her own kittens had all been given away, but she was still able to nurse. 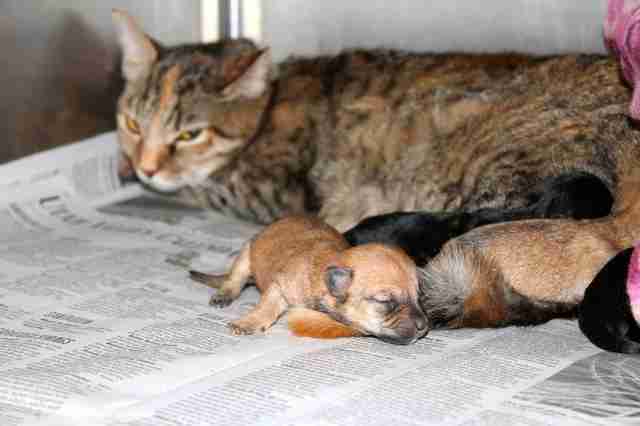 "We did what we thought may be the best for the puppies to try and feed," Utah Humane's Deann Shepherd told The Dodo. Kit nursed the pups, perhaps sensing their immediate need, until they were moved to a foster home where they're getting bottles and "feeding well." On Thursday, the shelter received a new litter of orphaned kittens and decided to try to see if Kit would nurse them as well, and to their delight "she immediately took to them." While Kit is serving as a superstar foster mom to other animals for now, eventually she'll need to find her own forever home. And this sweet, loving girl deserves a family that will give her a chance to be taken care of in turn.